Overcoming Yourself to Reach Full Potential — Carvd N Stone Inc.
Steph Crosley wears a lot of hats but they all fit under the brand of entrepreneurship. It all started four years ago when she put together her first event, which was dedicated to women. It was a women’s empowerment fashion show that was powered by women. Steph saw a post that stated one woman can make a difference, but a group of women can rock the world, which sparked the idea of her first event. Within her generation, she feels she’s played a vital role in bringing women together to create a stronger community. “I know what it’s like being a woman and not having support and not feeling confident in yourself,” she said about the importance of empowerment. Steph wasn’t always the most confident person, so she uses her past to help others better their situations. Most of her events are revolved around self-empowerment and learning how to be your best self. Finding Steph’s best self took a childhood of trauma and then months of self-reevaluation. As a child, Steph felt like the ugly duckling due to her three sisters and one brother getting all of the attention and compliments. And on top of her mother being on drugs and her father being incarcerated up until 14, Steph didn’t know how to effectively deal with the issues she was going through. That trauma she didn’t know how to handle turned into her bullying, or more so using her power, to get what she wanted during her middle school years. That trauma followed Steph into her early adulthood and into college. 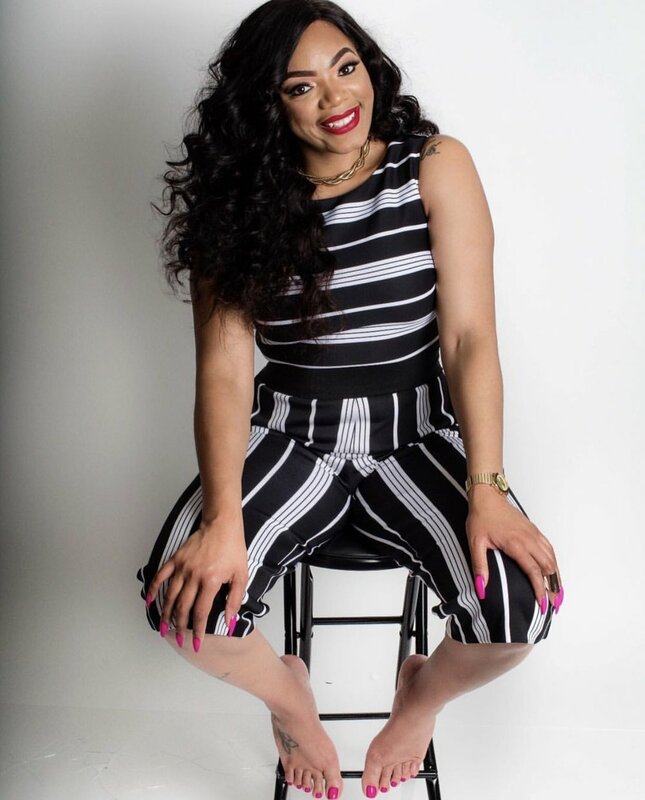 She originally went to school for TV and broadcast at Cleveland State University on a D1 basketball scholarship, but then switched majors because she didn’t have the confidence to get in front of the camera. She graduated in 2010 with a bachelor’s degree in social work and communications. Two years later she received her master’s in education from the University of Wisconsin-Stevens Point. After college, she moved back home and that’s when she saw that Instagram post that initiated her career. But the million-dollar question is what does Steph actually do? Well in the words of rapper G Herbo, everything! Steph doesn’t like the term life coach, so instead she uses life catalyst because she connects sources with other sources. But the list goes on. She used to pay others to host her events, but she would find herself texting them things she wanted them to say or ask, so she decided to be the host of her events instead, and now she host her people’s events too. When she first started hosting she had to drink before going on stage because of her nerves. She used to be tipsy on stage but the more she did it, the more comfortable she became. Now all she needs is herself. Steph is a writer as well. She’s published two books: With Love and Naked, all while being a motivational speaker. But nothing compares to her baby “Real Talk,” which is a platform to promote healthy conversation between community members. Originally, Steph would hold paneled discussion with about six to seven people to discuss a topic, and each panelist would offer a different perspective. For example, she’s held an all-male panel where she brought in men from the community that come from different walks of life—a police officer, a family man, a “hood” man, etc. all in the hopes to understand each other a little bit more. Real Talk has been expanding and changing since it’s birth. Steph is giving individuals the option to anonymously ask her questions with Real Talk Ask Steph. And most recently, she launched Real Talk with Steph Crosley & Friends, where she brings in her professional friends to have real dialogue. Now all three aspects of Real Talk can be found on Facebook, where she puts them all into one platform which she’ll air on live. The ultimate goal is to get her own talk show. She remembers the days where she used to rush home after school just to watch daytime talk shows, and she wants to be the one to bring back the hype to talk shows. To order Steph’s book and to learn more about who Steph is visit her site.